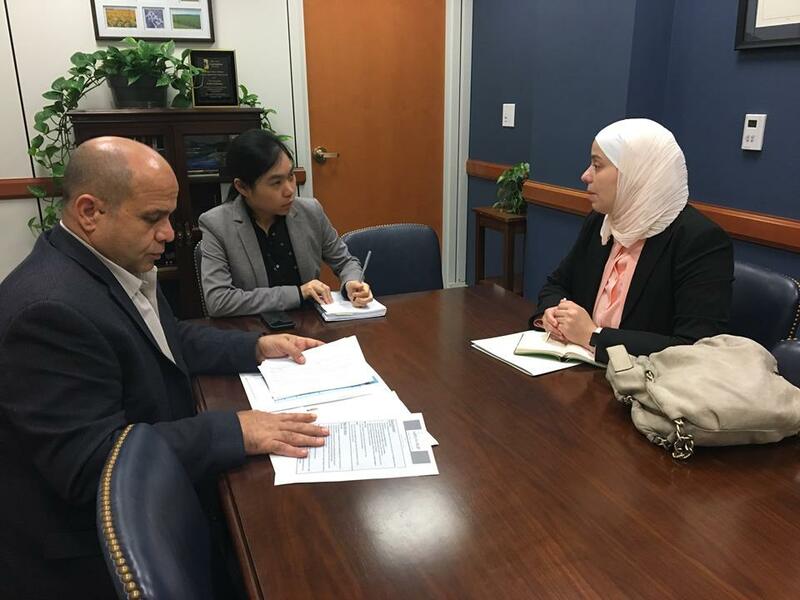 Recently, Dima Almeniawi, Vice President of the Syrian American Engineers Association and Adib Chouiki of Rahma Relief Foundation spoke to Senator Debbie Stabenow’s legislative assistant about the need for de-risking and the importance of education for the children still inside Syria. Almeniawi conveyed the recent activities of SAEA with hope of an ongoing, positive relationship with the senator. VP Dima Almeniawi continues to be a driving force in the progress of SAEA’s humanitarian relief efforts. Senator Debbie Stabenow of Michigan was elected to the US senate in 2000 and is well-known for her legislation in regards to freeing students of college debt and making health care affordable and logical.